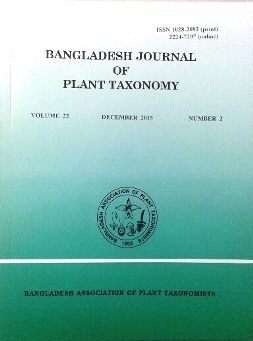 Bangladesh Journal of Plant Taxonomy (BJPT) is one of the four Bangladeshi journals with an ISI impact factor (the latest is 0.696 in 2014/2015) and it is now indexed by more than 20 agencies, including the Bangladesh Journals Online (BanglaJOL) platform. The journal has a steady and substantial flow of manuscripts (157 in 2015) and a stable international authorship. 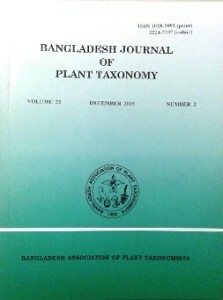 With these encouraging numbers and the journal’s strong reputation, I was excited in February 2015 when the Bangladesh Association of Plant Taxonomists – the small learned society that publishes BJPT − appointed me as the executive editor of BJPT. Despite my excitement I was, however, not too surprised; I served this journal in the same capacity between July 2006 and December 2009, and have been a member of its editorial board since January 2010. Over the past few months I have begun to ask myself why the journal chose me again when I do not currently work as a researcher. Despite its very good reputation in Bangladesh and internationally, why had the journal struggled to attract academic, professional plant taxonomists to lead and coordinate it as its executive editor? I believe that two major factors can explain this situation. The first one is related to the philosophy of editorship. Being a good researcher in a discipline does not necessarily make a person a good editor. An editor must have a different set of qualities, and one of the least talked about is altruism. Being an editor neither extends one’s publication list nor improves one’s h-index. The role also does not ensure promotion or financial rewards. An editor continues editing a journal, often year after year, simply to take their discipline forward. In addition to being organized, responsive and punctual, a good editor just loves the editing job and watching a manuscript metamorphose into a paper. The second factor is linked with how journals are published in a developing country like Bangladesh. In this country, the basics of journal publishing have not changed much over the past 50 years. Journal publishing is usually a cheap process. Printing costs range from US$ 400 to US$ 1200 per issue. 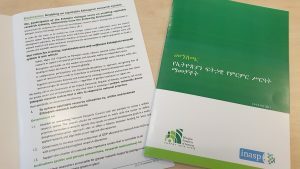 The main reason for this is that almost all operational costs – such as staff salary, office rent, and utility bills – are covered by editors’ institutions as a part of their own operation. Therefore, government donations are usually enough to publish a journal in Bangladesh. Further, in Bangladesh, authors often publish papers for free. All journals are free to access if they are available online. And most do not charge authors for handling manuscripts. The BJPT introduced a manuscript handling fee in May 2012 but dropped this provision shortly afterwards because the editorial board feared that it would discourage international authorship and that this could reverse the growth in impact factor that the journal had recently experienced. Because of the current journal publishing process in Bangladesh, chief editors, executive editors, assistant editors or editorial board members generally work voluntarily. Lead editors often do not even get US$ 100 for editing an issue and young to mid-level academics do not find leading a journal attractive, since it is not sufficient compensated. 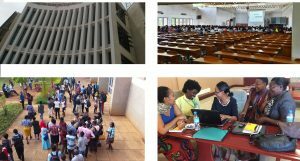 In this country, such an incentive is important because pay for academics in the public sector is low compared with the non-governmental sector so they often have to engage in other academic and research work that brings additional remuneration. Against the above backdrop, I propose two fundamental changes in the journal publishing in Bangladesh and other countries with similar situations. First, we need a mechanism where good researchers, authors and reviewers can continuously be part of journal teams for editing and publishing in different capacities. Senior academics who are also senior journal editors can bring good, young researchers/authors/reviewers into their editorial teams. The plan would be for the younger researchers to be with the journal for a long time and during this time they would be mentored by the senior editors. The senior editors would give their younger colleagues the opportunity to do actual editing work. As the junior editors are mentored to develop their skills through this hands-on, on-the-job training, the senior editors would also share their philosophy of and passion for editorship. As a result of this long-term inclusion, planning and mentoring, the younger researchers would be likely to continue editing and become lead editors of that journal or any other journals in the same discipline. This is how I became an editor so I can vouch for the process working. 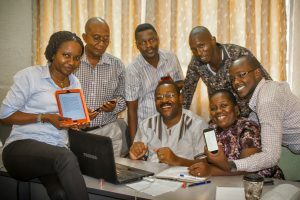 Second, journals of developing countries also need financial sustainability, especially if they continue being managed by their host learned institutions as opposed to big academic publishers. Relying only on government donations is not enough. Modest, non-predatory charges, like payments for colour plates and extra pages, selective advertisements, or for non-association member’s authorship, could be introduced to make a journal financially viable. A part of this income should be used for attracting and sufficiently compensating good editors in the light of current market prices. In developing countries, good editors are an endangered species. It is therefore important to pick and nurture such talents when they are young, to ensure a continuous flow of editors in all disciplines. Such an approach is a must for the survival of developing countries’ journals. Dr. Haseeb Md. Irfanullahis a biologist-turned-development-practitioner with a keen interest in research and its communication. 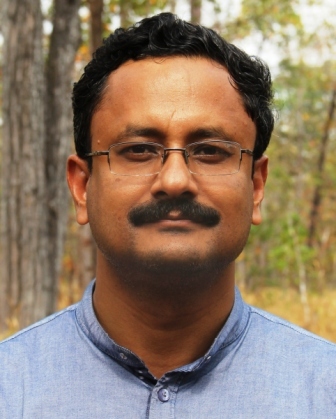 He is the programme coordinator of IUCN in Bangladesh. He is also a member of the editorial board, and has twice been an executive editor, of Bangladesh Journal of Plant Taxonomy (BJPT). Haseeb is available at hmirfanullah@yahoo.co.uk and he tweets as @hmirfanullah. Great article. Although mentoring and financial recommendations may attract new editors to join the editorial board of a journal, is only aim to get more junior editors involved? Isn’t the bigger challenge how to nurture the altruistic trait for publishing and adding to our collective knowledge? We need an incentive system that nurtures the altruistic spirit! Great insight and well timed topic selection. I want to add the lack of well planned research and good guides/role models are also very important factor for not developing good quality editors and journals. The Universities and other research organizations should come up with attractive plans to promote the idea of research and academic people should be encouraged to stay in the path of research. Funding needs to be planned and big industries needs to be obligated to participate in research as part of their social responsibility. And thanks to “Dr. Haseeb” for focusing light on the very important topic. Very very nice article. Actually the young talents are not nurtured properly and not always supported by our mentors specially in Taxonomic field.